I was thinking vulpine (cunning) or vorpal (deadly) or valetudinarian (anxious about health) or vafrous (sly) but… I’m sticking with my it’s all Greek to me theme and working my way through the hard letters. A vastidity (vastness) of words in Greek starting with a V, there are not. Actually there are none. There’s no V in Greek. 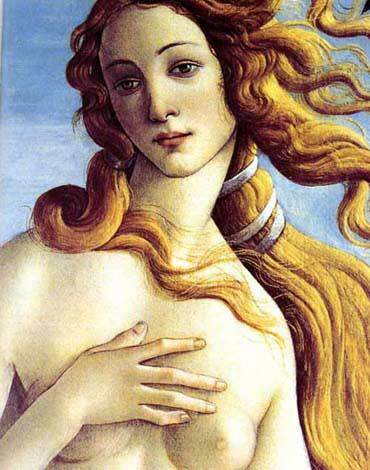 So… I skipped a bit ahead in time and chose Venus who is the Roman version of Aphrodite, Goddess of love. Though because she’s Roman and not Greek she has her own spin on the love thing. She is not always venerous (lustful) or venary (in pursuit of sexual gratification), though she can be at times. She was not born but emerged out of the sea-foam, probably covered in varec (seaweed). But let us not vapulate (flog) the V anymore and use this as a vincular (connective) moment. Just how important is a love story to your work? I’ve never thought of this in terms of my writing at least not in the context of do I write love stories? . I’ve not set out to write a love story (except for the first novel I ever wrote which must stay in the dark dark underworld of a drawer covered in dust and buried beneath later works even though it sometimes calls to me late at night to let it be free) before. Usually a story comes to mind and it may or may not have a love story in it. I find love in stories, happens, many times whether I want it to or not. What’s interesting to me is when I talk about this called love, I wonder who you, the reader imagine are the lovers and what kind of love it is. Are they male and female, two men, two females? Is it a love triangle? Love hexagon? Is there such a thing? What are the limitations we and society put on such things? In my book Open Wounds my protagonist, Cyd Wymann, struggles with love – love from and for parents, parent figures, boys who are his friends and brothers, and a girl. Relationships are complicated and yet they are what make so many narratives pulse, whether there is love, ambivalence, or hate involved between the characters. A theme I find myself coming back to again and again in my work is the love of a boy for his father (or father figure) or what happens when there is none. What are the themes of love that echo in your work? Which ones are violactic (flying above) and which are sequestered in the viridarium (Roman Garden)? Sorry, I couldn’t help myself. This entry was posted on April 25, 2012 by Joe Lunievicz. It was filed under A-Z Challenge, Blog, Greek, On Writing, Open Wounds, words . Another excellent post, Joe. I’ve experienced the loss of love from so many different angles in my own life, it should hopefully turn out to provide for countless stories, but I would say that the love (or lack thereof) between a man and a father is a story any man can tell. Hell, probably even some women can tell that story. Glad you liked it. I loved the EJ Patten piece at Mayhem also. Love can be a great motivator in stories, be it romantic love or familial love. My protagonist struggles with both.